Here are the properties we are highlighting this month in New York City. Also we highlight the Virtuoso Amenity available at each luxury property. Park Hyatt’s global flagship Park Hyatt New York in the heart of Midtown at 153 West 57th Street between Sixth and Seventh Avenue, across from Carnegie Hall and steps from Central Park. The hotel features 210 generously sized guestrooms, including 92 suites designed by Yabu Pushelberg. 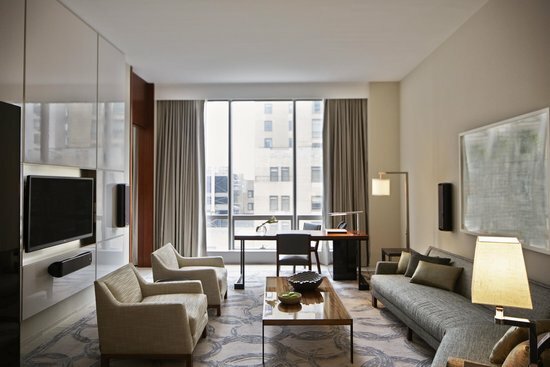 The state-of-the-art guestroom are among the largest in the city, starting at 475 square feet. Discover rare and intimate experiences tailored to your individual preferences, such as delectable dishes at Bevy and craft cocktails in the Living Room bar. For serenity, head up to full-service Spa Nalai, on the 25th floor. A storied history and swoon-worthy redesign has the 702-rooms InterContinental New York Barclay right back on track. Built in 1926 as one of Grand Central’s great railroad hotels (an old platform lies directly underneath), the new version added bold, contemporary touches while keeping its soul squarely rooted in the Jazz Age. Snag a purple-velvet wingback in the clubby GinParlour for pre-dinner Negronis before sliding over to a table for sophisticated, sustainable fare. 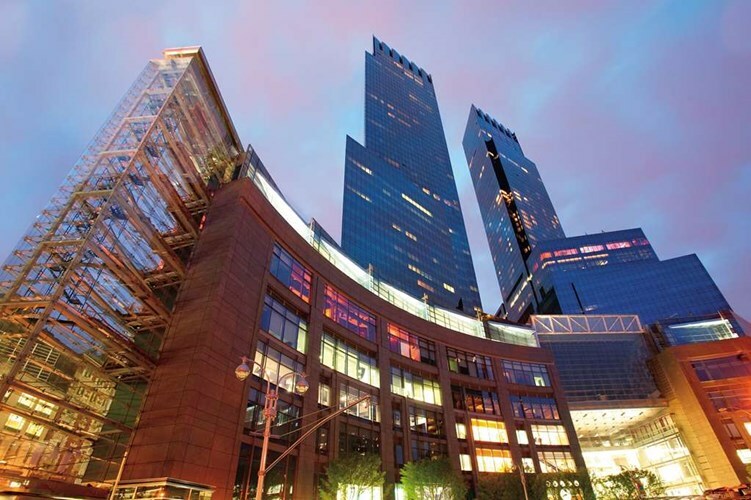 The hotel’s perfectly central location makes for an easy stroll to Rockefeller Center, MoMa and Times Square. With its breathtaking view of Columbus Circle, Central Park and the city skyline, Mandarin Oriental, New York is a prized address among discerning travelers. You’ll be captivated by stylish and luxurious accommodations, gourmet dining at contemporary Asiate an an unforgettable food and beverage experience at The Aviary NYC, a restaurant for drinks and The Office NYC, a speakeasy-style environment from Chef Grant Achatz. 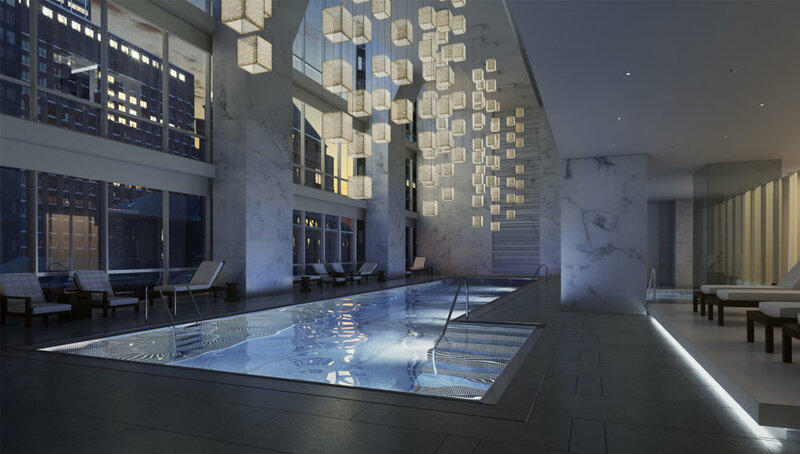 Discover The Spa at Mandarin Oriental.New York featuring a menu of rejuvenating experiences and indulge in the VIP Spa Suite, with it’s private steam and sauna facilities, deep soaking tub and working fireplace. Virtuoso Amenity: Room upgrade at time of booking, if available; $100 food and beverage credit per stay for use in Asiate and in-room dining. Get personalized assistance with your next New York stay.